Everything in your environment is either supporting you, giving you energy and moving you closer to your goals or it’s sabotaging, draining you and keeping you further away from your goals. In Environmental Coaching there are 9 Environments as originally created by Thomas Leonard - who is widely recognized as he founding father of the Life Coaching Industry. Every aspect of us is affected by our environments and our environments reflect every aspect of us. 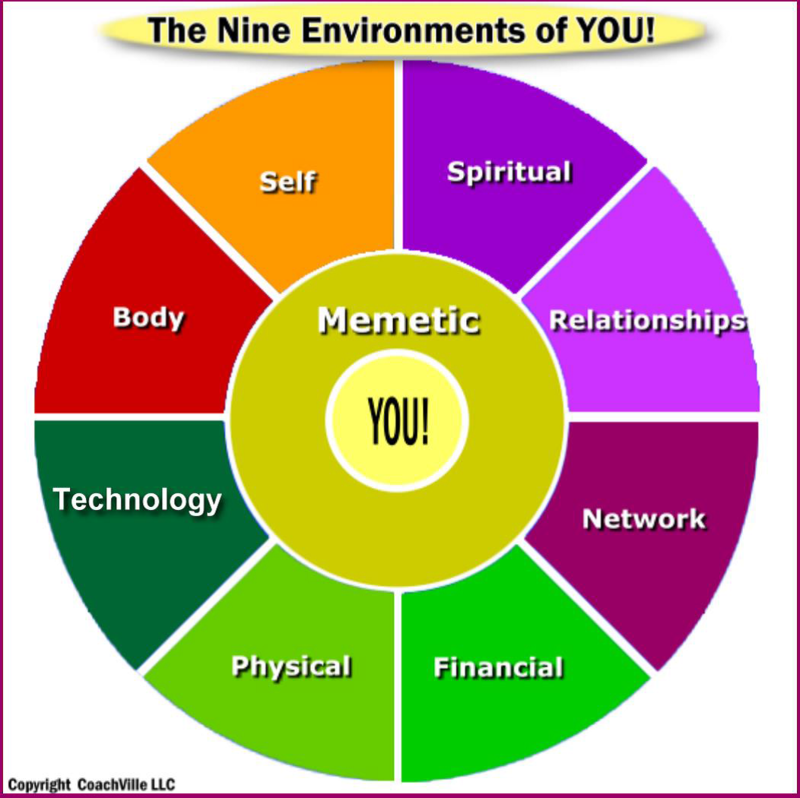 Each of the 9 Environments of You are connected...they touch each other and are woven together. The memetic environment includes ideas, values, thoughts, beliefs, paradigms, styles and habits that are passed down from generation to generation. The memetic environment also includes information and knowledge (books, websites, magazines, television, and radio) The big question - How do these ideas impact your goals and desired results? You are not your body, it's something you have and therefore it can be designed. The body environment includes the body, hair, skin, nails, health and energy. Having strength, energy and well-being using daily practices is important in being successful with your goals and desires. The self environment includes our strengths, talents, personalities, feelings, emotions, values, passions and skills. The self environment reflects a persons inner resources that can be reflected in the outer world around them. The technology environment includes technology, electronics and virtual spaces. Technology includes - software and hardware. Electronics include computers, tablets, phones, mp3 players, GPS systems. Virtual spaces include Social Networking - social media, video conferencing, online networking, etc. 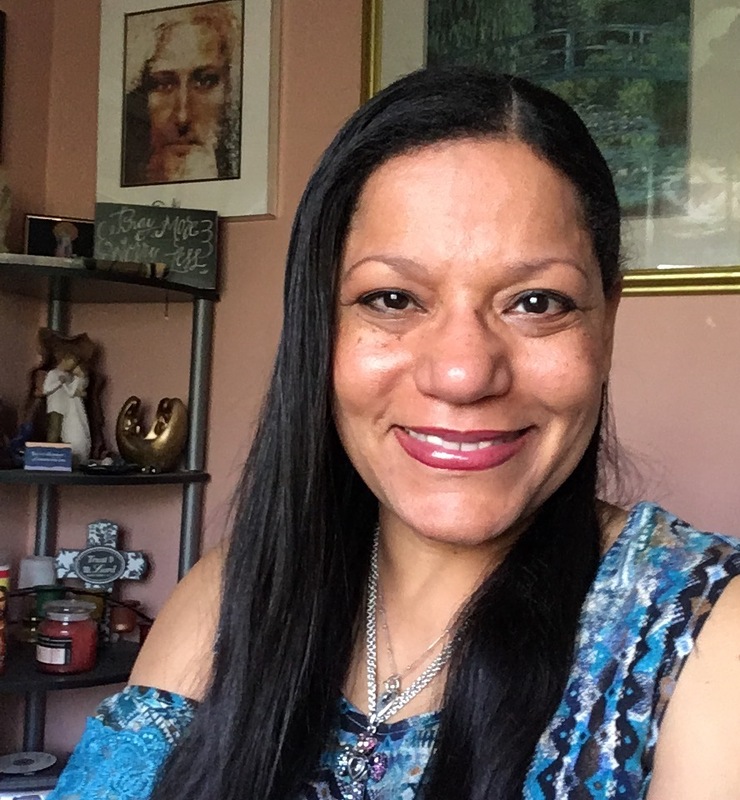 The spiritual environment includes our connections to a higher power, to God or Spirit, the invisible connection we feel to others and the universe. Whether we get our energy from low or high vibrations makes a difference and has an effect on whether your experience overwhelm, clutter, addictions, control, anger, etc. This environment includes designing spiritual practices that support your desired results. The relationship environment includes those people in our lives who are closest to us and with whom we have an intimate connection. This includes family, close friends, close colleagues, co-workers, mentors and neighbors who are in our lives on a daily basis. The people in your life act as a mirror to some part of yourself and we become like the people we spend time with. The financial environment affects every other environment - it includes bills, credit cards, money, investments, insurance, stocks and bonds and the people who support your financial well-being (accountants, financial planners, stock brokers). This environment also includes any tools, support services or systems you use to achieve your financial goals- files, computer programs, budgets, banks. When exploring the financial environment, it is also important to look closely at the relationship a person has with money and their beliefs around money and prosperity/abundance. The physical environment includes the very tangible aspects of our lives...our home, office, car, furnishings, artwork, toys, boats, and accessories. The physical environment provides visual clues to what is going on in our lives. Clutter, noise, broken equipment can be visual clues to looking deeper to discover our thoughts, energy and behaviors.